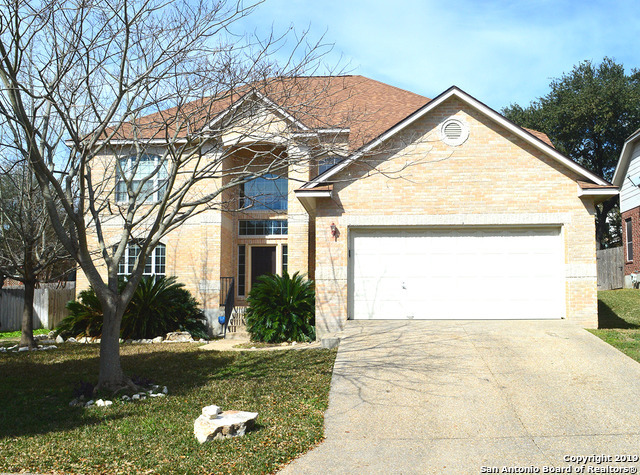 All VILLAGE ON THE GLEN homes currently listed for sale in San Antonio as of 04/24/2019 are shown below. You can change the search criteria at any time by pressing the 'Change Search' button below. "Stunning home in prestigious gated community in Big Springs! You'll enjoy a magnificent open family room w/ adjoining spacious kitchen! This spacious 5-bedroom home boasts of a large, inviting backyard, two living areas, breakfast and dining areas and the huge open kitchen featuring miles of counter space! Recently updated master retreat boasts an unbelievable large bathroom w/ dual sinks, garden tub & WIC. Community pool, tennis courts, clubhouse, jogging trails & playground. Close to 281 & 160"